Bear Archery didn’t happen overnight. It took Papa Bear, as many called him, years to perfect. You see, the boy born on March 5, 1902 in Waynesboro Pennsylvania was a bit of a wild child but not in the way one might expect. 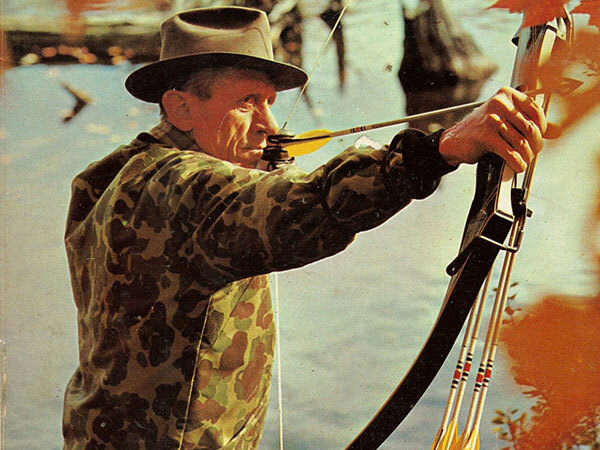 Fred Bear’s story began with a 1933 film Adventures In Alaska (the true story of a family living off the land in the remote Alaska with no modern luxuries) turned the young automotive mechanic into the “Father Of Bowhunting”; a pioneer of archery. 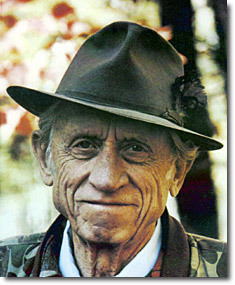 This lover of the wild, is best known for his own series of patented shooting tools, bows and equipment. Fred’s Take-Down traditional bow was perhaps one of his most notable inventions which took him twenty years to perfect. It wasn’t until 1967 that Fred was finally content with his creation; an affordable and user-friendly traditional bow hunter's dream. “You need to make sure you’re listening to the customer, and Fred Bear listened to the customer as good as anybody,” said Neil Byce, director of operations for Bear Archery. “If you walk through the facility today, you’ll see on the walls … Fred Bear’s 10 Commandments, and we still live by them today,” said Jack Bowman, president of Bear Archery. “And we do believe that along with helping design and produce revolutionary archery products, Bear proved himself to be one of the top archers in the country, taking Michigan’s target archery championship in 1934, 1937 and 1939. Bear made a name for himself in the Great Lakes State, helping to create Michigan’s first bow hunting season in 1937, prompting other states to follow suit.” In 1942 Bear made it a habit to show his bow hunting skills to people via a film camera. Him and his buddy Van Coevering from the Detroit Free Press, have traveled far and wide together with a bow at hand. It was thanks to that undertaking, that Bear became known as the first bowhunter in Michigan to capture a whitetail deer on film which further contributed to his popularity. It wasn’t long before Bear became an internationally acclaimed bowhunting legend. With his bow he'd broken six archery world records and tackled many a wild animal including an Alaskan brown bear, barren-ground caribou, mountain caribou, Canada moose and stone sheep. During his trip to India in 1963, Bear bravely took on a Bengal tiger. The year following while in Africa, Fred defeated a four ton elephant at forty yards and in 1966 his polar bear hunt was featured on ABC’s The American Sportsman. A few years later in 1972 the public’s very own Fred Bear Sports Club became a reality and in 1973 he became along with Howard Hill, Ben Pearson, Ann Weber Hoyt, Maurice Thomson, Russ Hoogerhyde and Kari Palmarier became a member of the Springfield Missouri Archery Hall of Fame. Bear has given other aspiring archers an opportunity to learn from first hand what it takes to do archery like a pro. Consequently, they have taken his infinite wisdom, shown through his numerous outdoor films, TV shows, books and magazine and made it their own. Fred has lived a full and fulfilling life before passing away in 1988 at the age of eighty-six. His rich legacy remains alive today. It was kind of dark, another misty dusk. And it came from the tangle down below. I tried to remember everything he taught me so well. I had to decide which way to go. Was I alone, or in a hunter’s dream? The moment of truth was here and now. I felt his touch, I felt his guiding hand. The buck was mine forever more. 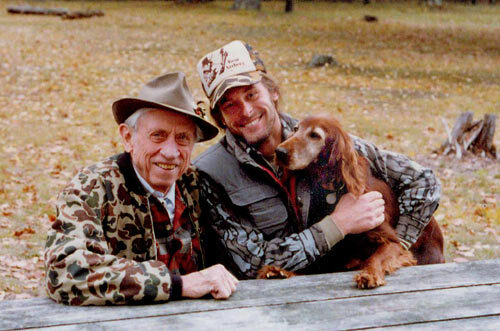 Because of Fred Bear I will walk down those trails again. Fred Bear, I’m glad to have you at my side, my friend. I’ll join you in the big hunt before too long.